Hello hello! 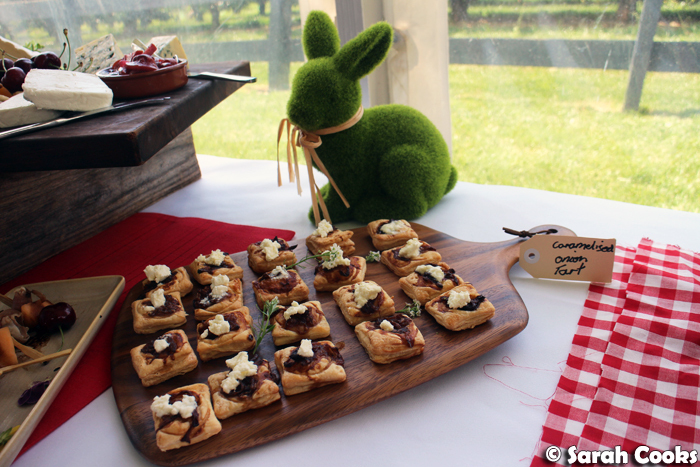 Last weekend I spent a day down at CherryHill Orchard with a group of lovely food bloggers. 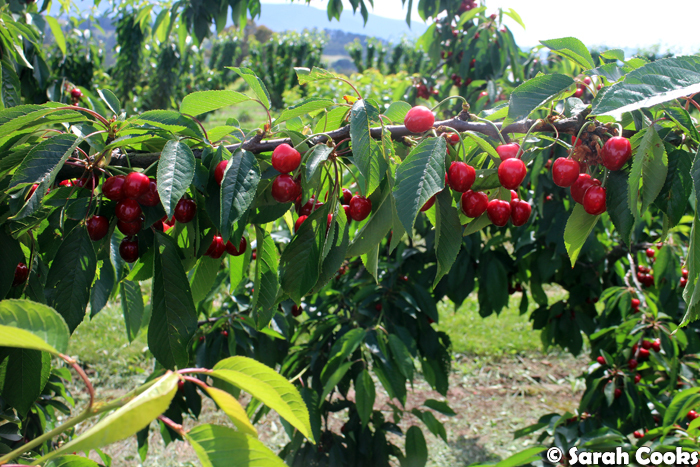 There was cherry picking, cherry eating, cherry cocktails, cherry ice-cream and more. Not a bad way to spend a summer's day! 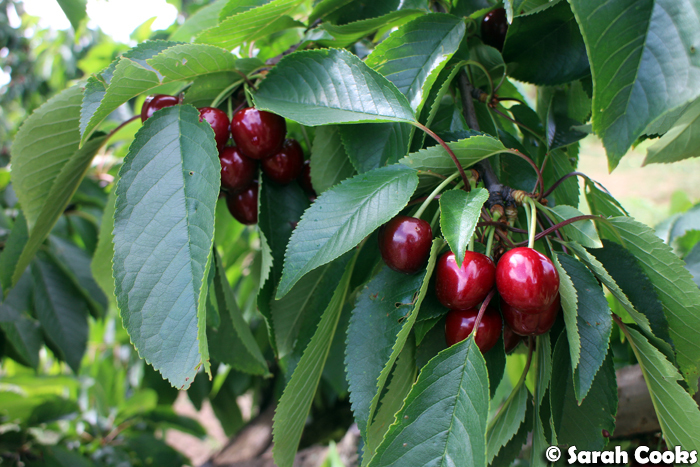 I don't know about you, but that day my Instagram feed was awash with cherries! This visit was organised by Vikki Leng on behalf of the Victorian Cherry Association, to celebrate the start of the cherry season, and to launch the new Victorian Cherry Trail brochure. 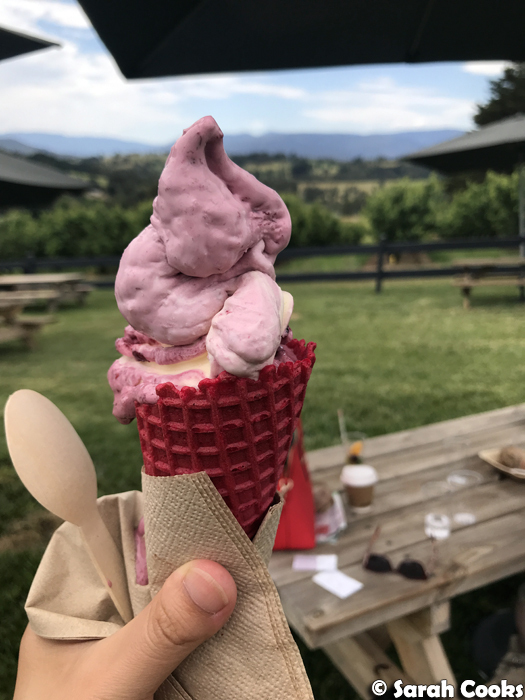 The Victorian Cherry Trail features 13 cherry orchards and farm shops located in Victoria's four cherry growing regions: Upper Goulburn Valley, Yarra Valley and Ranges, Macedon Ranges, and Mornington Peninsula. All sell farm fresh cherries direct to the public, and many do pick-your-own cherries as well. 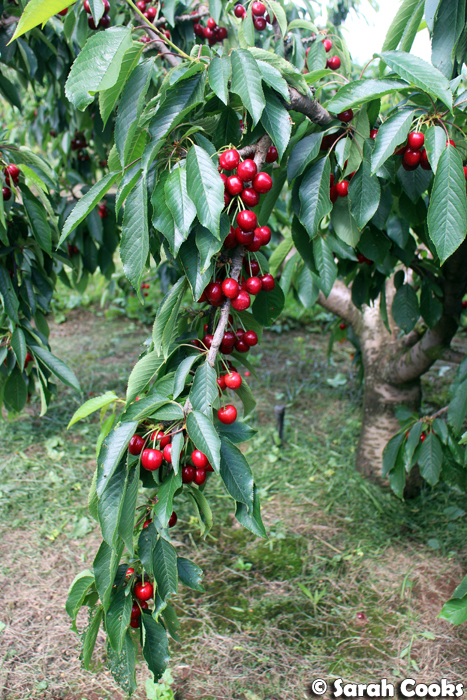 I always associate cherries with Christmas, but being a city slicker, I have to admit I'd never given it much thought beyond that. 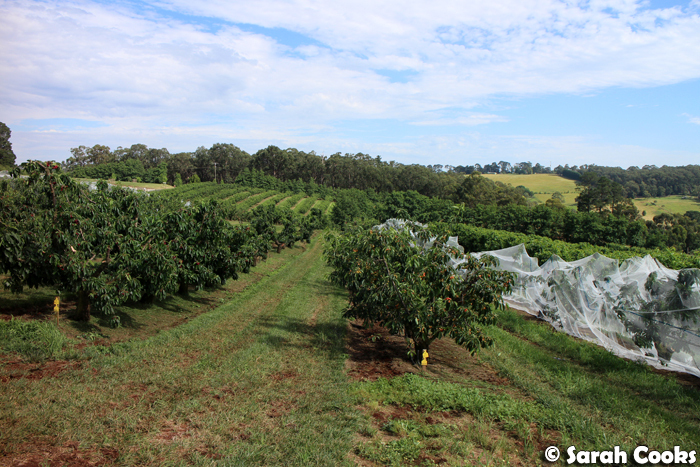 But on this trip I learned that the cherry season in Australia goes for just 100 days, and is kinda like a ski season - the growers have to make their entire year's income in that short season, and the rest of the year is prep/recovery time! 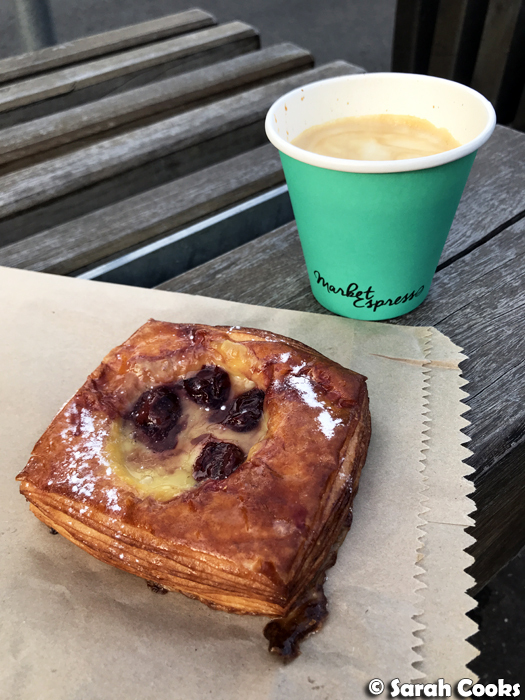 We started by meeting suuuuper early in the morning at Vic Market, with time for a coffee and a danish (cherry, of course) to fuel up for the day ahead. 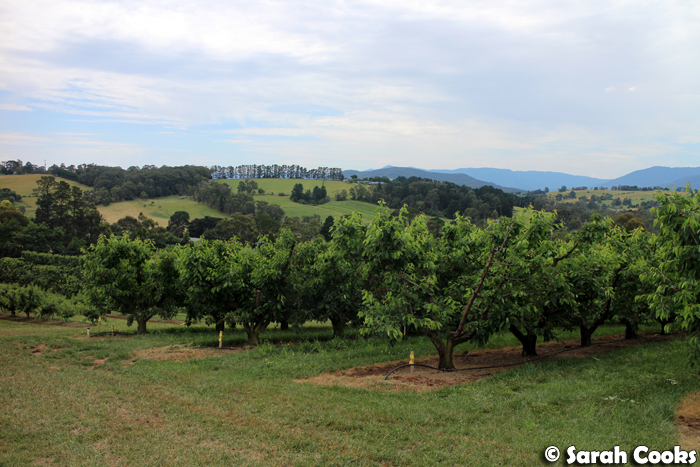 From there, it was an hour's drive to CherryHill Orchard in Wandin. The cherry hills were just picture perfect. 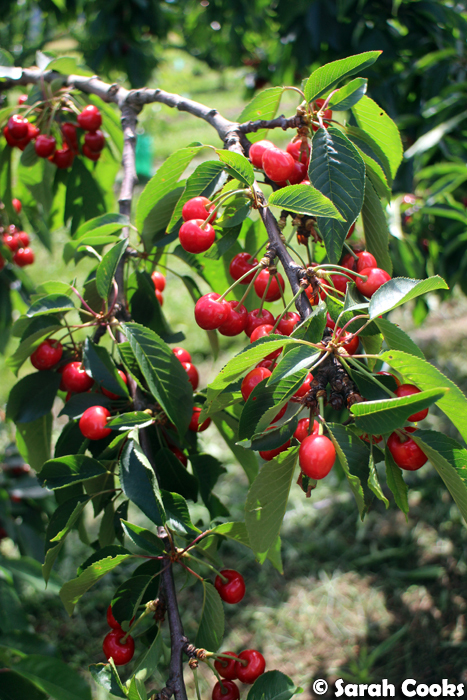 We were each given a bucket, taken down into the orchard, and could pick our own cherries to take home. 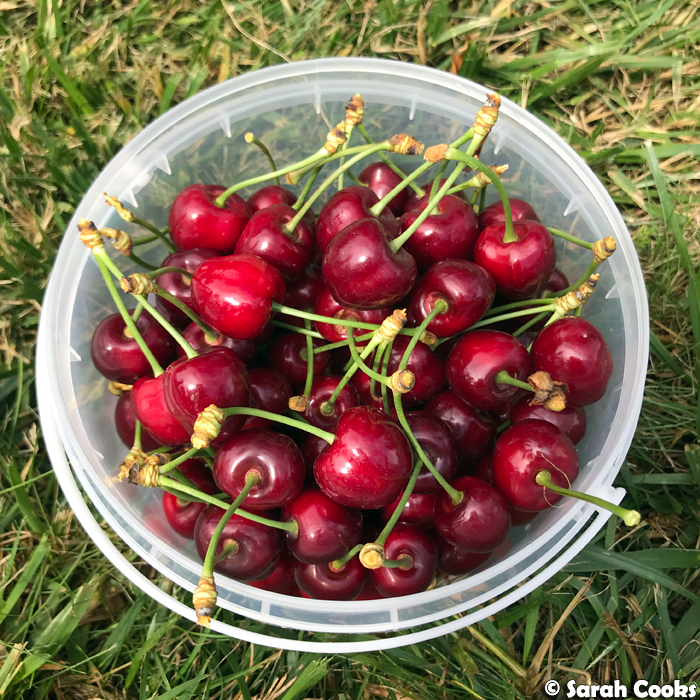 I also learned that cherries don't ripen after you pick them, so you should try to pick the darker cherries, as they'll be riper (and sweeter). Me! In the Cherry orchard. Thanks to Nicole from Champagne and Chips for snapping this! So obviously I love cherries (y'all know that Nigella's cherry pie is my all time favourite dessert), so I was totally keen to visit the orchard anyway, but as an added bonus it was an excuse to pull out my cherry dress! I love dressing to a theme. (And food-themed clothing in general - I also have a lemon dress, a pineapple/watermelon dress, and a lobster dress!) 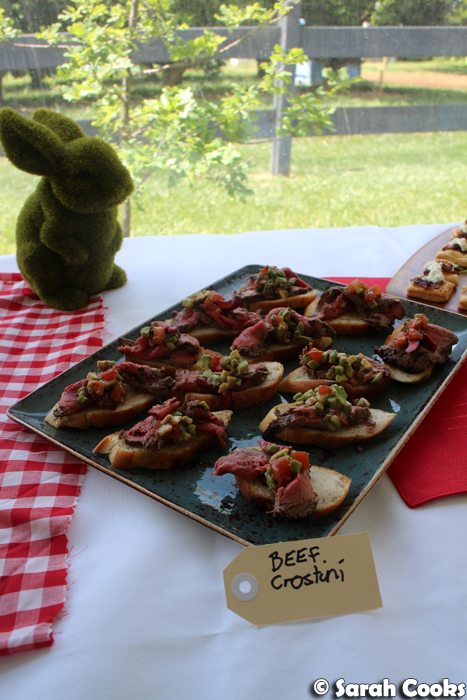 Thanks heaps to the awesome Nicole from Champagne and Chips for taking this photo! 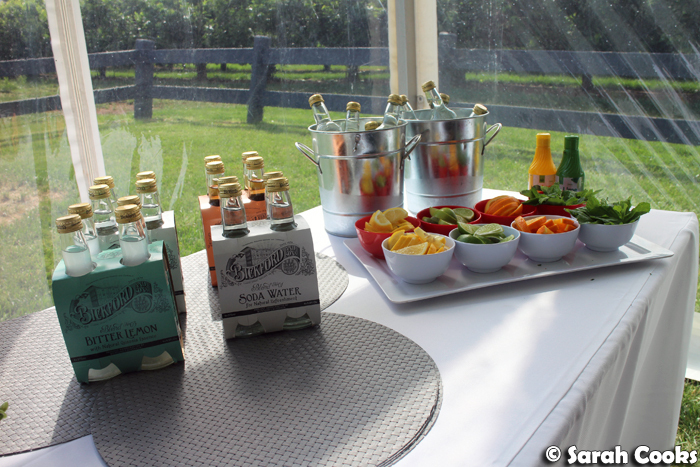 Cherry picking is hard work, so after filling our buckets, we were definitely ready for drinks and lunch! 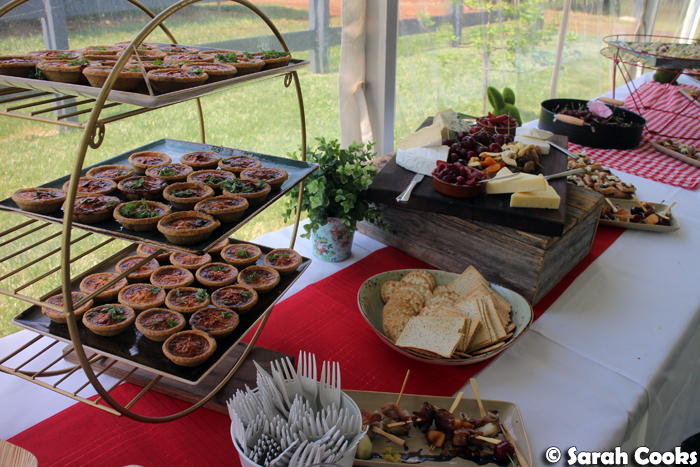 (This lunch, by The Essential Caterer, was put on specially for our visit; however on regular days customers are welcome to bring a picnic lunch, and the shop at CherryHill sells coffee, cherry drinks, cherry ice-cream, and other sweet treats). 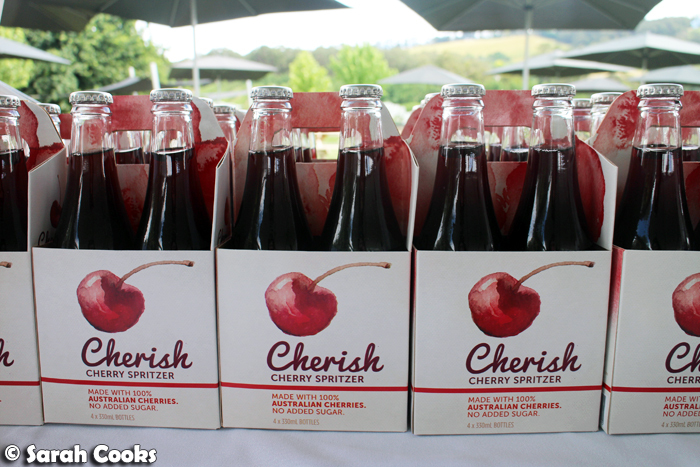 I don't normally drink soft drink - and I can't stand artificially "cherry"-flavoured drinks like cherry cola - but I totally loved the Cherish cherry spritzer. Made of cherries and carbonated water, it wasn't overly sweet, and had a really gentle, totally natural cherry flavour. Would drink again. 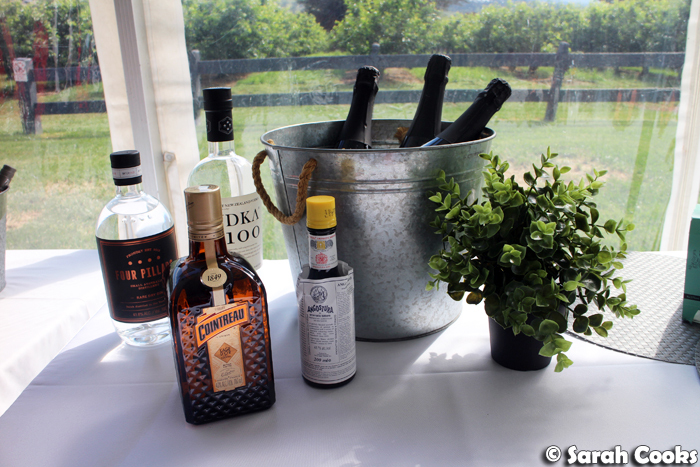 I enjoyed mine mixed with soda water, bitters, and lime juice in a refreshing mocktail. 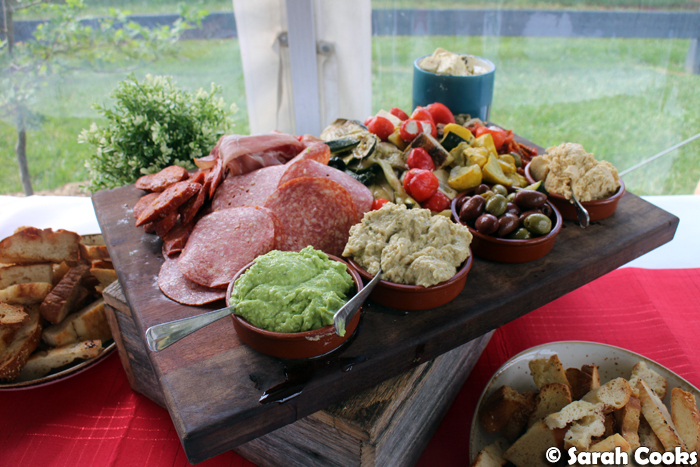 And here's the food! 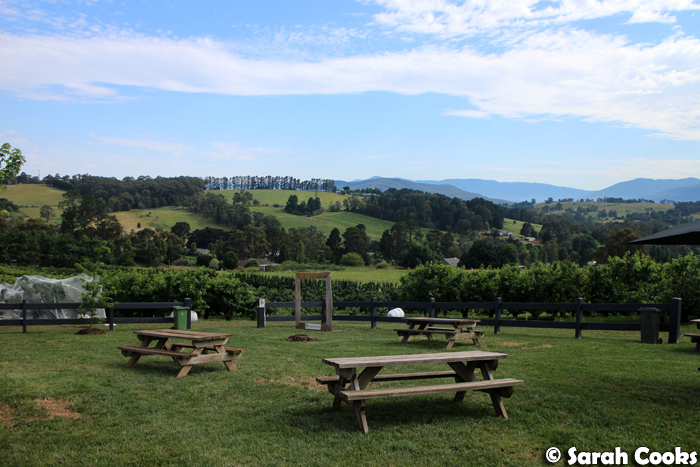 Over lunch, we also got to meet some cherry growers, not only from CherryHill, but also from other cherry farms in the region on the Victorian Cherry Trail. And I mentioned cherry ice-cream before, didn't I? They make these to order, blending fresh cherry puree with vanilla ice-cream. Yum. 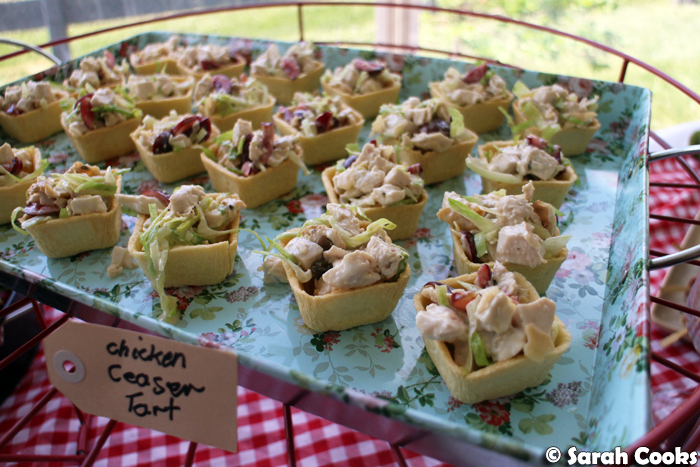 (Also I definitely want to try making something similar at home... watch this space). Thanks to Vikki and the team at CherryHill for a fun, informative, and cherry-filled day! 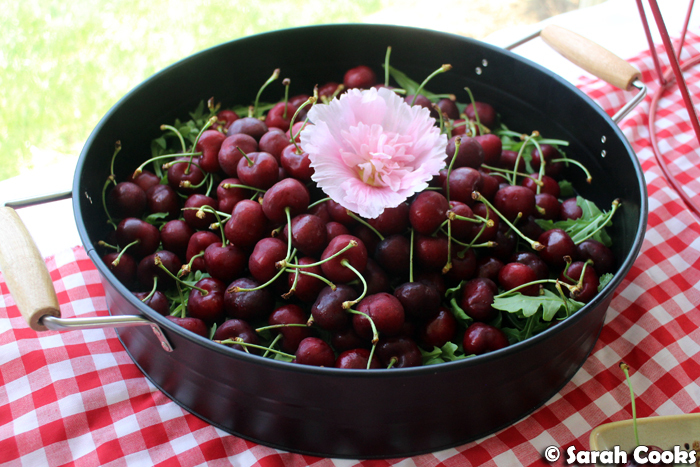 I love cherries- in fact, I went out and bought a special device to pit the seeds! 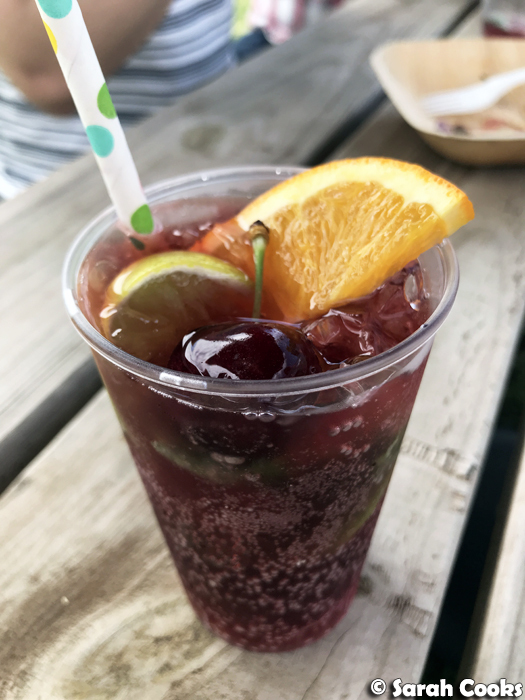 Gotta try that cherry mocktail- it looks great! Oh cool! I was going to buy a cherry pitter to deal with all the cherries I got on the day, but I couldn't find one at any local stores. I ate most of them fresh and used a knife to chop the rest and freeze them.